Ashada Shukravara Lakshmi Puja and Vratam is observed on the Fridays in the Hindu month of Ashada Masam by women in certain Hindu communities in Karnataka, Telangana, Andhra Pradesh and Tamil Nadu. In 2019, the Ashada Shukravara Lakshmi Vratam is observed on July 5, July 12, July 19 and July 26. This Vratam is also known as Shaaka Vrata and is dedicated to Goddess Lakshmi, the Hindu goddess of wealth and prosperity. Some people observe Lakshmi Puja for the whole month of Ashada. There are others who begin the puja on Ashada Shukla Dasami (10th day of Ashada Month) and end it on Shravan Masa Shukla Dasami (10th day of Shravan month). Majority of the people only observe on Fridays in the month of Ashada and some concludes the puja on the Varalakshmi Puja day. 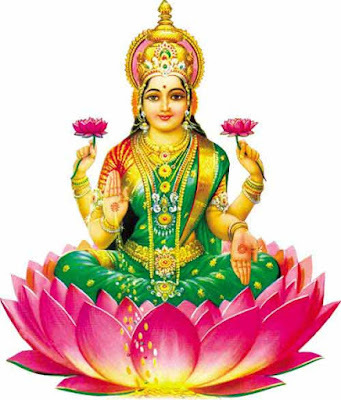 Those who are performing the Ashada Shukravara Lakshmi Puja worship Goddess Lakshmi and chant Lakshmi Sahasranamam. Usual puja methods are followed during the period. An idol or picture of Goddess Lakshmi is used for puja. The pujas are performed for the wellbeing and the prosperity of the family. People usually only consume vegetarian food on the day of the pujas. Some people avoid green leaf vegetables on the Fridays. On a Friday in the month, women in a neighborhood gather at a home and do community worship and puja. Women exchange gifts like flowers, coins, coconut, bangles etc on the day.